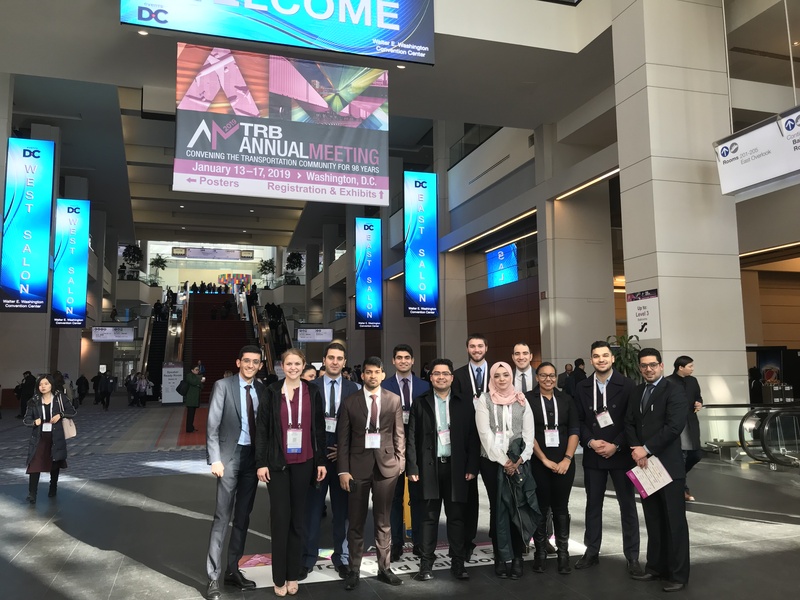 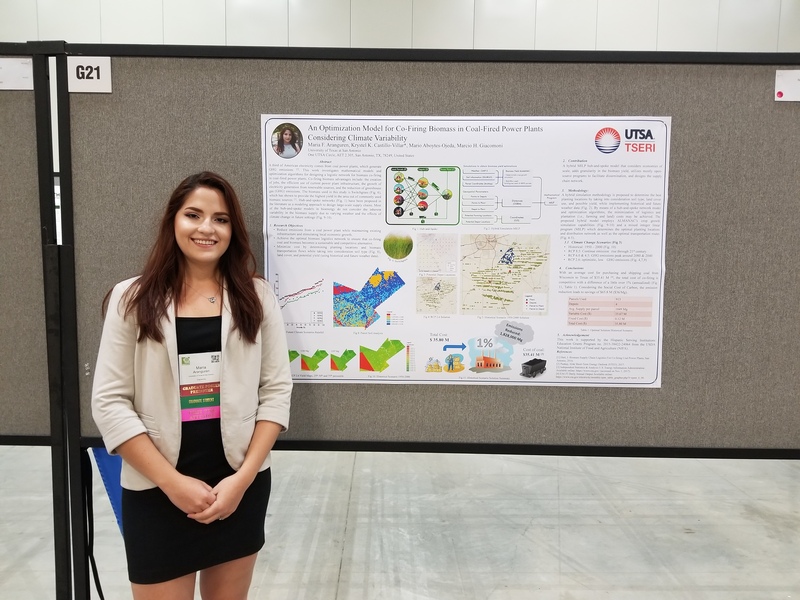 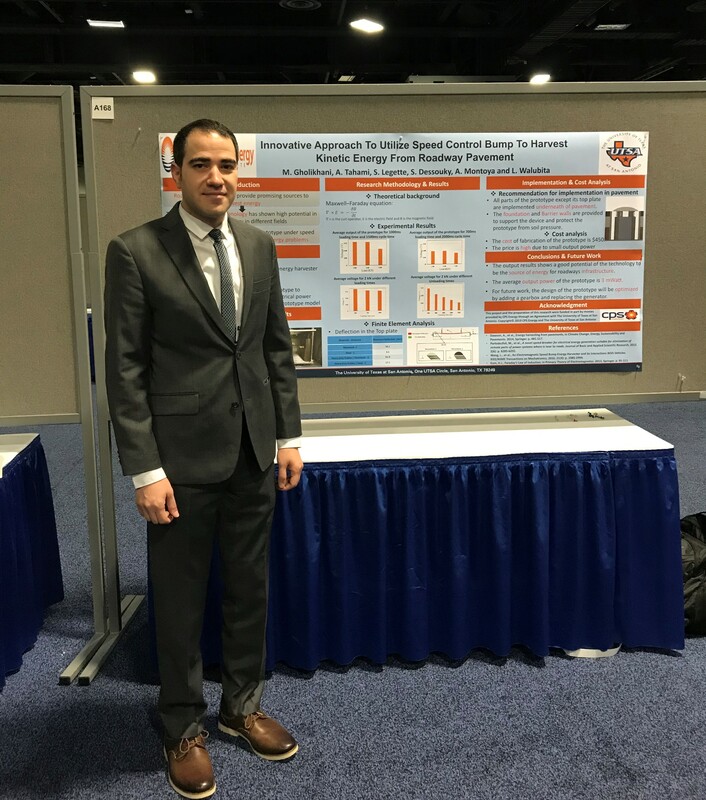 Students from Civil and Environmental Engineering presented their research findings of their project titled: Harvesting Mechanical and Thermal Energy from Roadways, supported by CPS Energy in the Transportation Research Board (TRB) 98th Annual Meeting held January 13–17, 2019, at the Walter E. Washington Convention Center, in Washington, D.C. 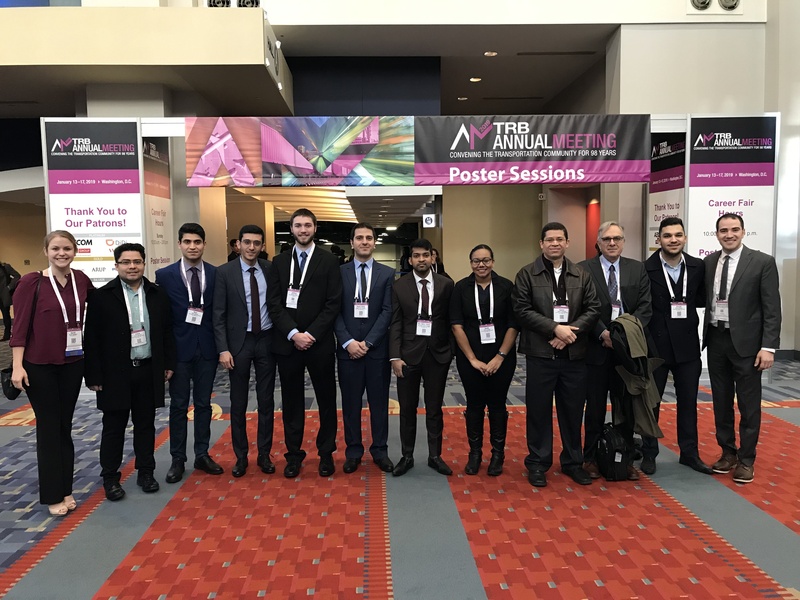 The faculty mentors are: S. Dessouky (PI), A.T. Papagiannakis (co-PI), A. Montoya (co-PI), H. Sharif (co-PI), R. Guo (co-PI), A. Bhalla (co-PI) and S. Ahmed (Co-PI). 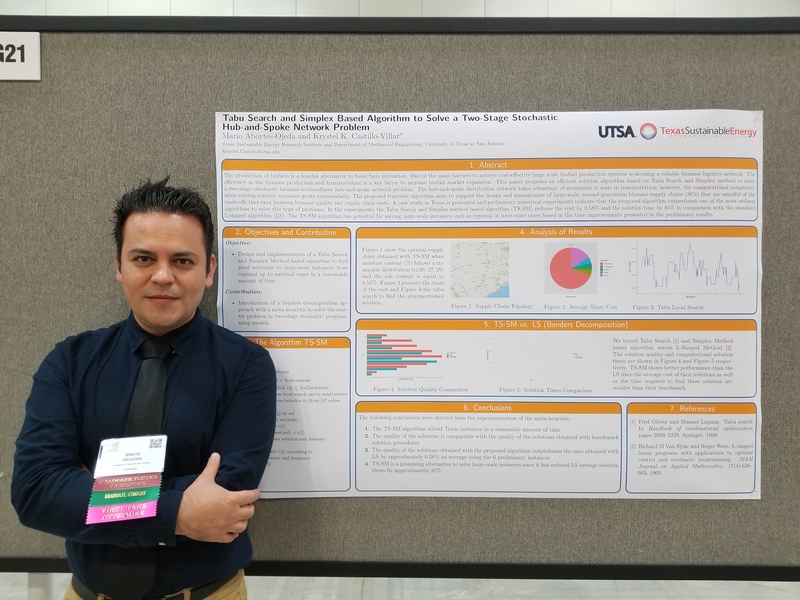 Mario Aboytes and Maria Aranguren present their research at the SACNAS 2018 conference.